May the luck of the Irish be in your favor this St. Patrick’s Day. 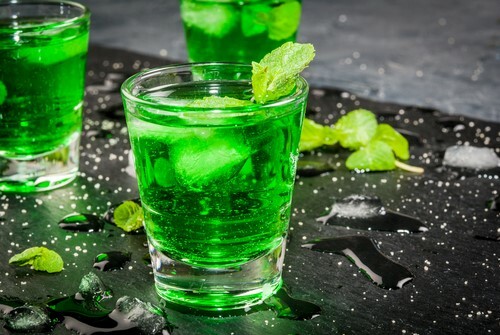 What better way to celebrate than with a green spirit. Combine ingredients and shake well; strain over ice. Enjoy, and always remember to drink responsibly! This recipe first appeared on Pizzazzerie.